Fans of the hit CBS television show The Big Bang Theory will not want to miss this fantastic San Diego Comic-Con 2017 Exclusive The Big Bang Theory x Star Trek: The Next Generation Action Figure Box Set from Bif Bang Pow! and Entertainment Earth! 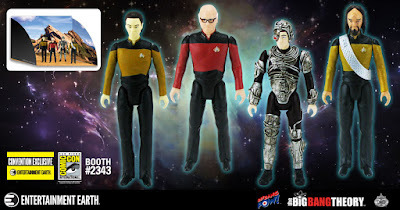 This set is based on the BBT Season 6 episode “The Bakersfield Expedition”, where Sheldon, Leonard and their friends attend a comic convention cosplaying as characters from Star Trek: The Next Generation. 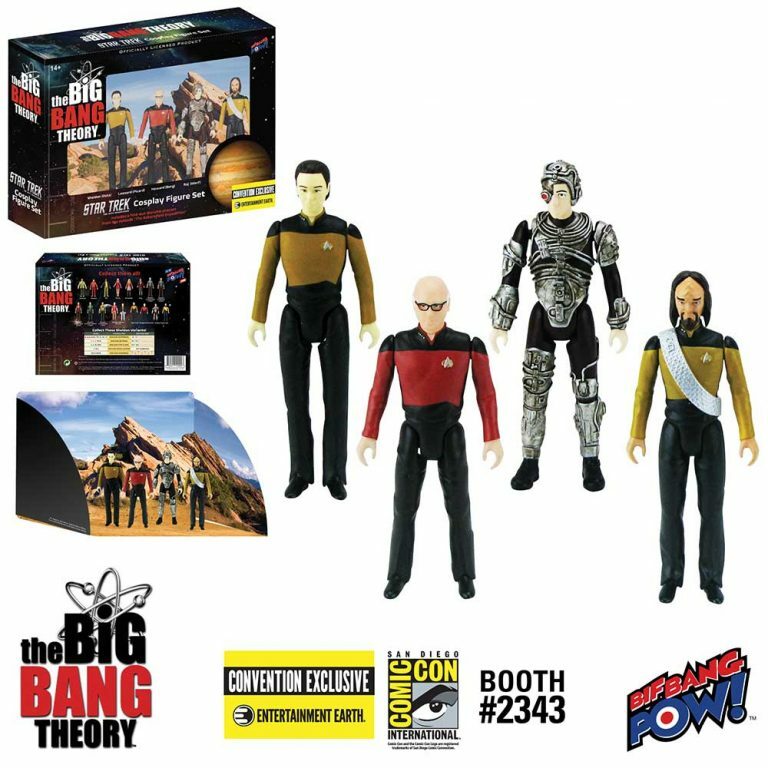 The San Diego Comic-Con 2017 Exclusive The Big Bang Theory x Star Trek: The Next Generation Action Figure Box Set features Sheldon as Commander Data, Leonard as Captain Picard, Raj as Lt. Worf, and Howard as the Borg. Each figure in the set stands 3.75” tall and features 5 points of articulation. What’s really cool is that this set’s packaging includes a pop-out diorama of a scene depicted in the episode! 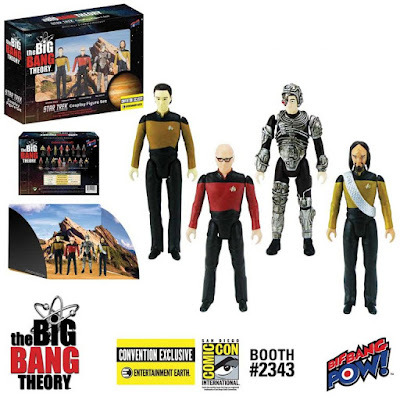 Limited to 2,288 pieces, the San Diego Comic-Con 2017 Exclusive The Big Bang Theory x Star Trek: The Next Generation Action Figure Box Set can be purchased at the Entertainment Earth booth #2343 or pre-ordered now online at EntertainmentEarth.com for $49.99 here.